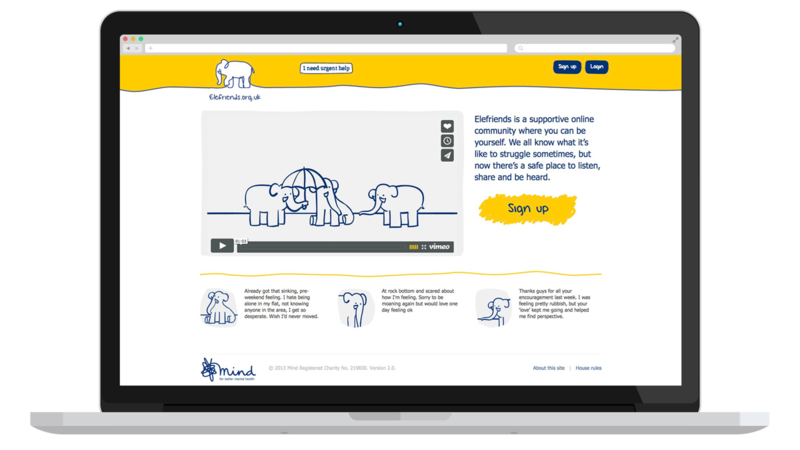 Elefriends is mental health peer support platform that was developed with the charity Mind. 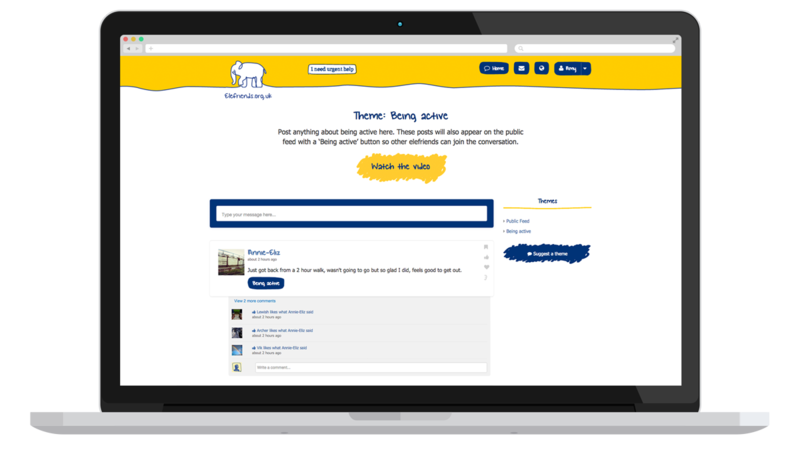 Our role was to work with existing users to codesign the new space. Over a series of workshops we gathered valuable insights into what the community needed from the new forum and how it should communicate with potential new members. 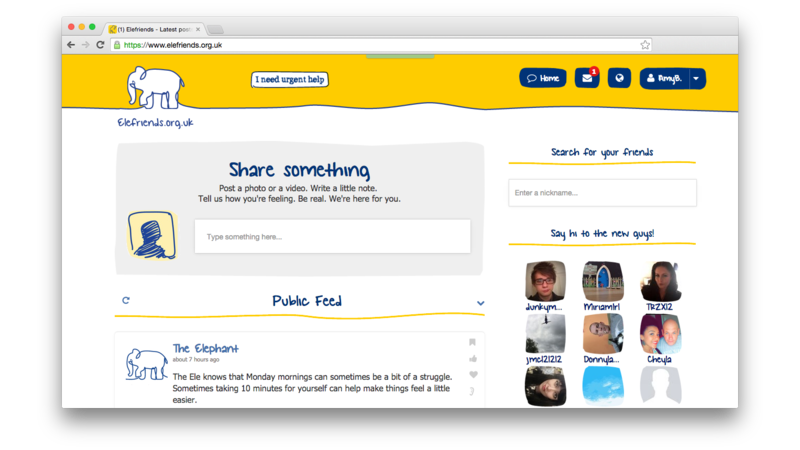 This work resulted in a set of principles that informed the build of the new platform, communications guidelines and three animations to help new Elefriends get started. 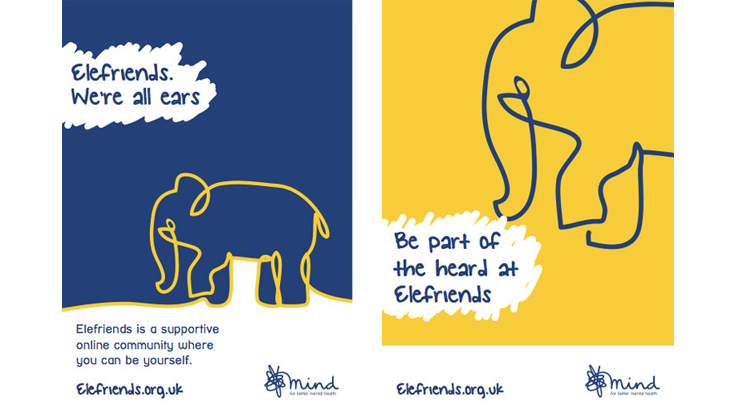 Since its launch Elefriends has built an online community of over 30,000 members and continues to grow. 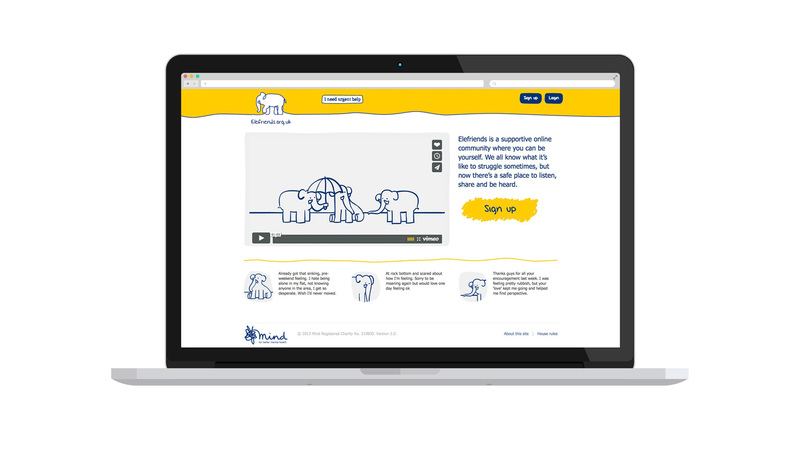 Our work with the Elefriends is ongoing; we are currently producing a new set of animations that are aimed at helping those with mental health conditions get more physically active.